Turnaround Arts: Hawaiʻi had a great first half of the school year with a number of professional development trainings, artist residencies and new community collaborations. The local program is gearing up for a busy second half — including a Wolf Trap residency for the kindergarten classes at Kalihi Kai Elementary, a Focus 5 residency in shadow puppetry for the 9th and 10th graders at Kamaile Academy, and both schools participating in a “Coherence” training with Deborah Brzoska! Kamaile Academy hosted their annual Winterfest on December 13th. There were food & shave ice trucks, face painting by the Kindergarten teachers, and performances by lower elementary students. 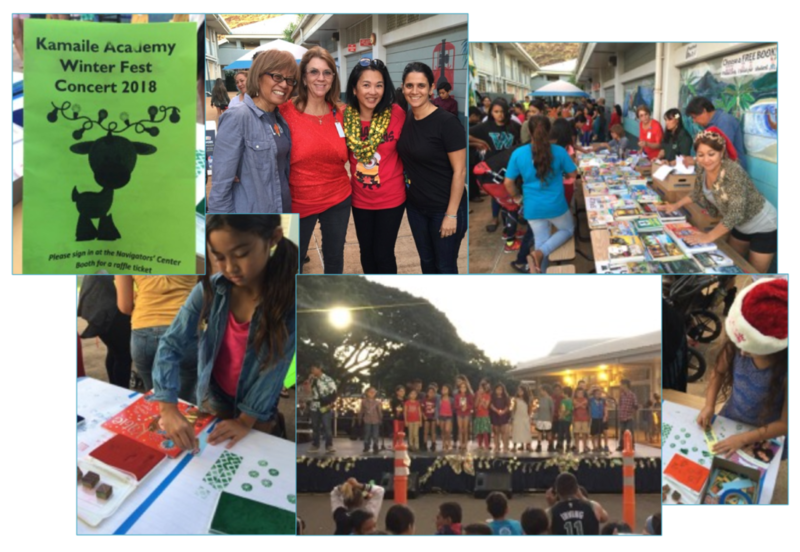 In addition, every student at the school received a free book and used home-made stamps (made by Turnaround Arts: Hawaiʻi Local Program Director, Lei Ahsing!) to create their own personalized bookmarks! 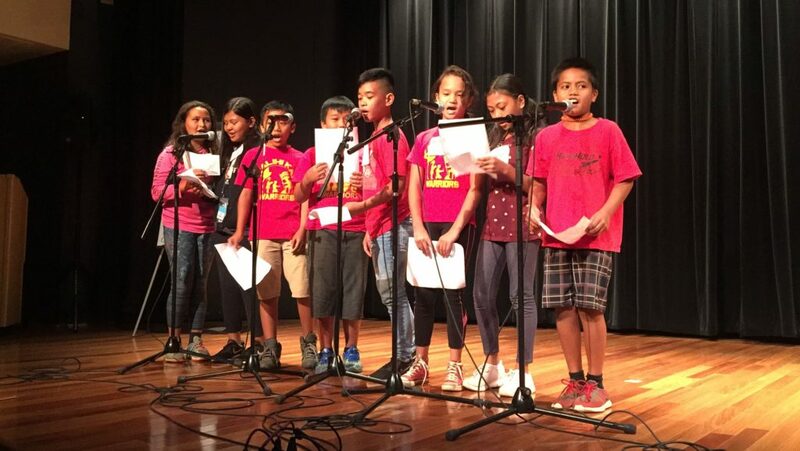 In their fourth year of implementation, Turnaround Arts: Hawaiʻi schools Kamaile Academy and Kalihi Kai Elementary are digging deep into ways they can effectively integrate arts strategies with their larger school goals and initiatives. They are regularly examining what kinds of support systems and accountability practices they need to succeed and sustain these goals. To help support these discussions, school teams will be bringing in National Arts Integration Consultant Deborah Brzoska to prioritize and focus on initiatives that are most effective and aligned with their school’s mission and vision, to help define a clear purpose for the work that they are doing, to explore ways of having consistency in implementation across the whole school, and to find meaningful ways of sharing and supporting the work with each other. 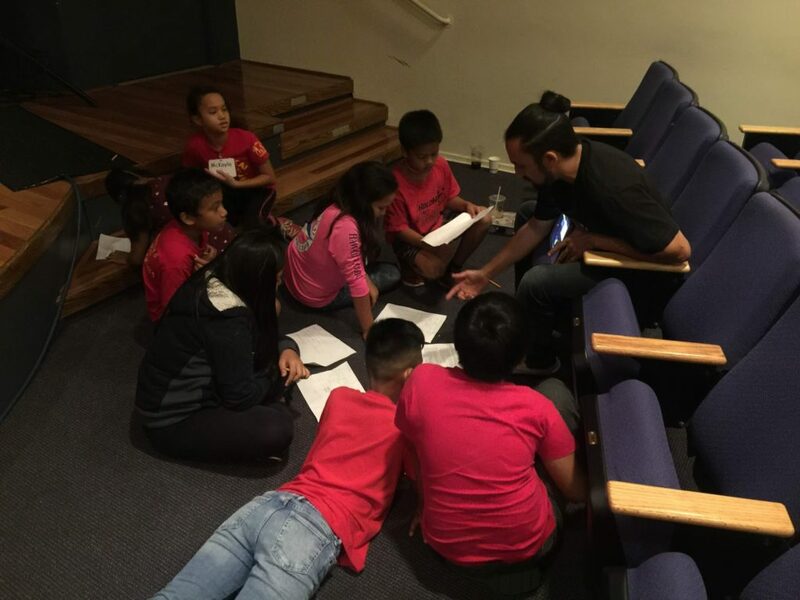 5th grade students from Kalihi Kai working with local artists to create hip-hop songs about their home and the place they come from. The students performing their songs for their peers, teachers and local artists. The house was LIT! 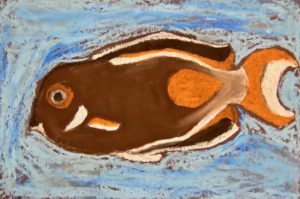 Every year, Turnaround Arts: Hawaiʻi schools participate in multiple programs in collaboration with Hawaiʻi State Foundation on Culture and the Arts, including Artists in the Schools and Art Bento. This year, Turnaround Arts: Hawaiʻi also partnered up with the Honolulu Museum of Art for their hip-hop based music program Soundshop. A completely underwritten program (including transportation! ), Kalihi Kai 5th grade students had the opportunity to visit the museum and tour the current special exhibition – Hoʻoulu: The King Kalākaua Era – escorted by Exhibit Curator Healoha Johnson. Inspired by the accomplishments of Hawaiʻi’s most innovative king (King Kalākaua was the first world leader to circumnavigate the globe! ), and with the help of local hip-hop artists, the students created spoken word pieces that they then performed for the rest of their class and teachers. Check out a performance by one group of our fifth graders here! Turnaround Arts: Hawaiʻi is excited about this new partnership and looks forward to working with Soundshop in the years ahead. 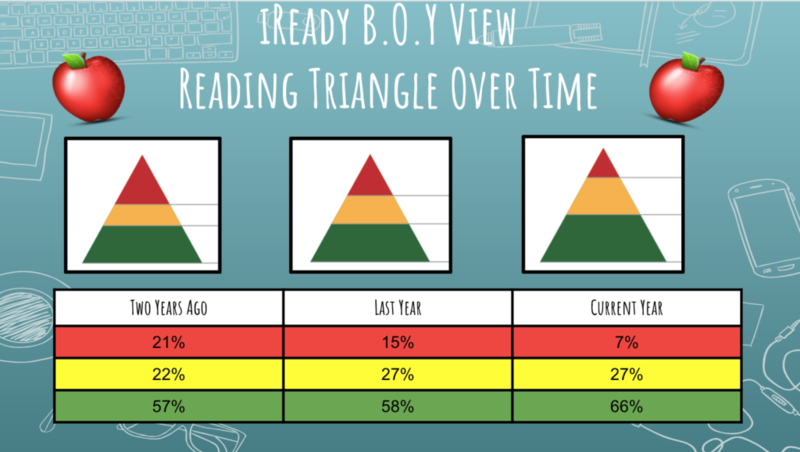 Kalihi Kai Elementary’s Beginning-of-Year iReady growth data showing an increase in academics over the last three years. Turnaround Arts: Hawaiʻi has seen so many changes in schools since the implementation of Turnaround Arts and other key school-wide initiatives. The culture and climate at both schools have been transformed; Kamaile Academy saw a three-year arc of improvement for climate and culture. Kalihi Kai Elementary received news that their iGrowth data from the last three years also showed growth in their academics, with 66% of students now reading at their grade level with no additional intervention (“green” on graph above). There was also a decrease in students that required “intensive intervention” in reading (“red” on graph above), moving from 21% to 7%. So much hard work has gone into closing these academic gaps — we couldn’t be prouder of our teachers, the staff and most of all, our students. 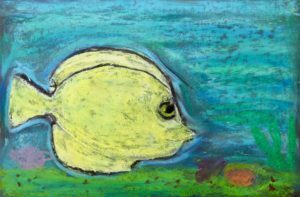 Kamaile Academy 5th graders drew fishes with oil pastels in their Art Bento residency with local teaching artist Marcia Pasqua. As a Hawaiian-focused charter school, Kamaile Academy started a new parent-teacher hula group that meets twice a week. Each year, the teachers learn a hula to perform for the students at their May Day, a state-wide celebration in Hawaiʻi that honors the Hawaiian culture with music and dance. It is a festive day where everyone dresses in brightly colored attire and partakes in the wearing and/or exchanging of lei (floral garlands). Perhaps this year, the parents will join the faculty as they perform their hula for the students! In November, Kalihi Kai Elementary students signed up to audition for the spring performance of Lion King Kids. Students of all ages sang a verse from “I Just Can’t Wait To Be King” (some even choreographed a dance!) and recited a monologue from the play. Turnaround Arts: Hawaiʻi was in awe of the talent that came out and is so excited to see the students on the big stage in April! 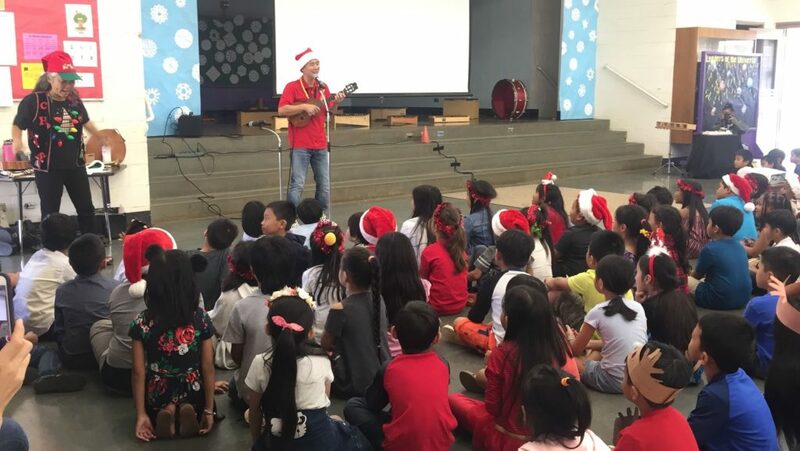 Turnaround Artist Jake Shimabukuro visits Kalihi Kai Elementary during their annual winter Sing-A-Long. Turnaround Arts: Hawaiʻi has seen the impact of an arts integrated approach on our students. Students are more confident to take risks, to engage in their learning, to speak up and share their thoughts and opinions because this approach creates a safe environment – an environment that students know supports, welcomes, and celebrates their voices. Turnaround Arts: Hawaiʻi is experiencing the positive shift in our schools’ cultures and communities that have become more inclusive and welcoming. Turnaround Arts, as a whole school initiative, ensures that every child has equitable access to engage and flourish as learners through the arts. The next steps for the local program include building consistency in purpose and practice, finding shared meaning, and expanding capacity and commitment to arts integration as an integral part of school identity. Turnaround Arts: Hawaiʻi is excited to continue this work with the current schools in the program, as well as to expand to reach more schools in the years to come.